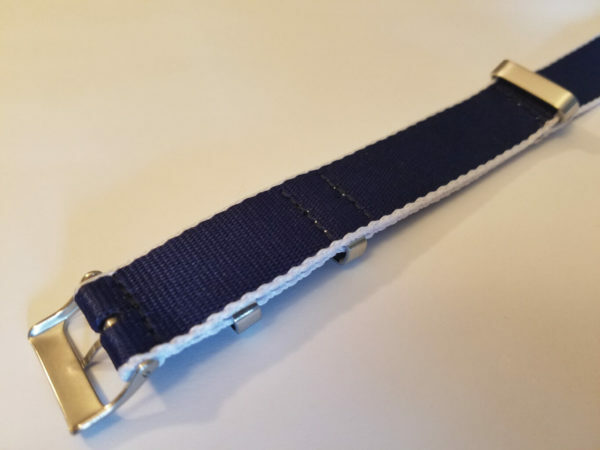 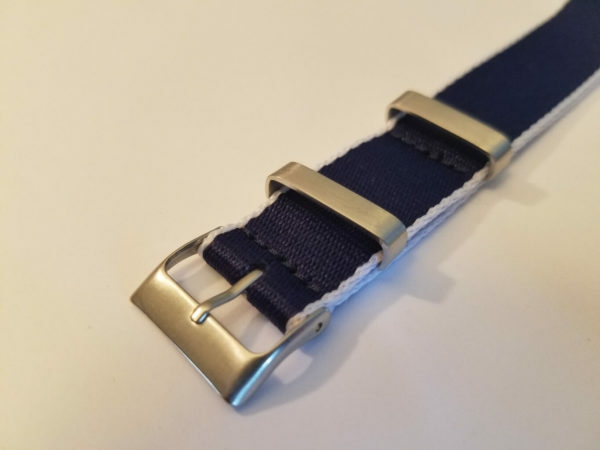 The Pond PuppyNavy Blue and White Watch Strap is a basic lightweight watch strap. 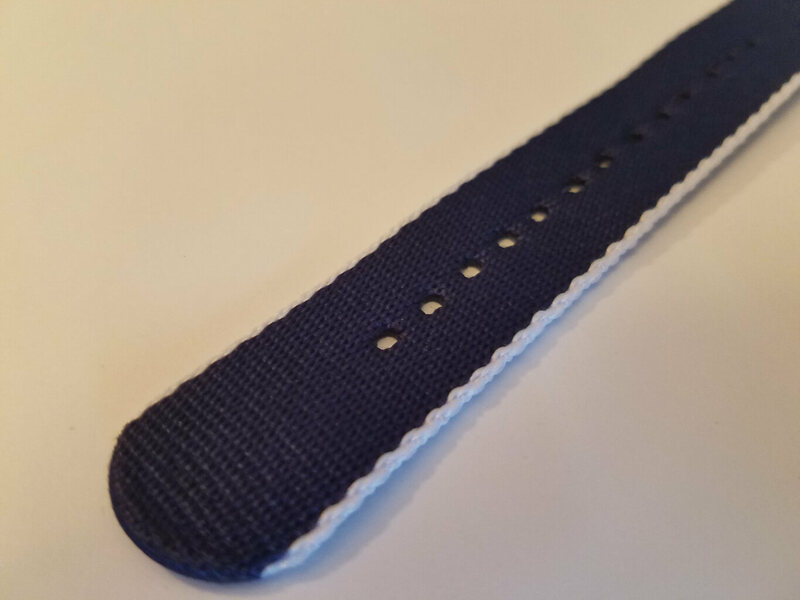 The strap sits flat and comfortably on your wrist. The Dark Blue and White is thicker than the standard Pond Puppy straps. 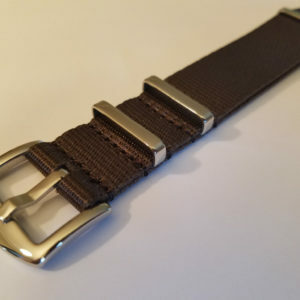 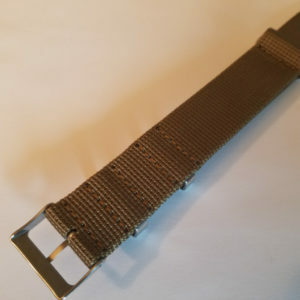 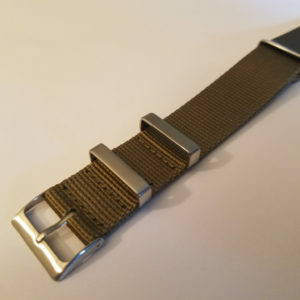 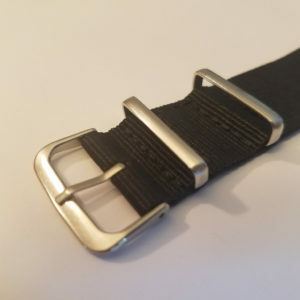 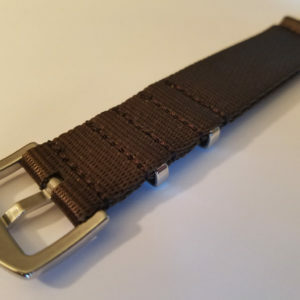 Nylon straps can be attached to your watch by threading the longer piece through the lugs of your watch (the spring bar area), down through one side of the lugs, under the watch back, and up through the other side of the lugs. 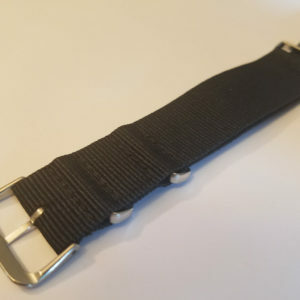 Fits: Wrists 5in. 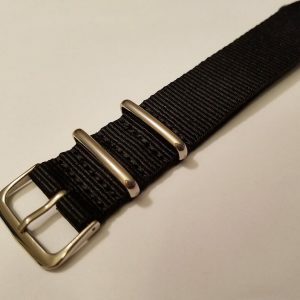 to 8in. 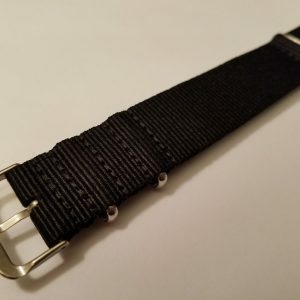 Sign up for the latest on new releases, watch strap discounts, and more.